Whether you’re relaxing on the couch, or sleeping soundly in your bed, you’ll love the warmth and comfort this Animal print microplush blanket offers. 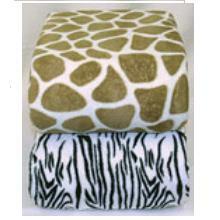 This trendy fleece blanket features an exotic Giraffe and Zebra print. $1 SHIPPING FOR ENTIRE ORDER!